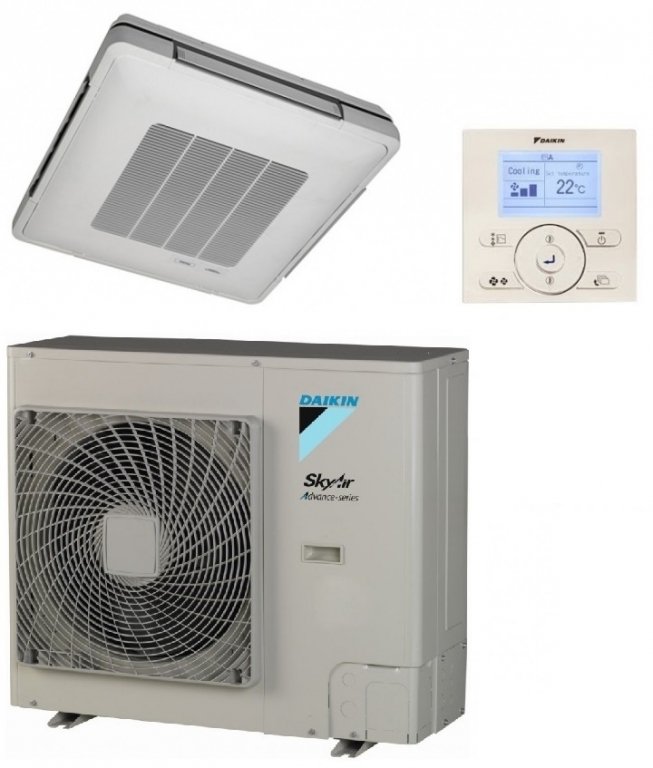 The Daikin FUA125A under celling cassette rated at 12.5kw from the Advance range offers year round heating and cooling. If you are looking to install ceiling cassettes in to a business premises and you do not have enough room in a ceiling void to fit standard air conditioning and heat pump cassette indoor units. The indoor unit depth is only 198mm offering you an unobtrusive unit that can provide heating and cooling for business premises. Rated at 12.5kw this model can provide climate control for areas up to 125 square metres. This model uses the latest R32 refrigerant.